Busy Signal is at it again with the release of his VP produced album D.O.B. He is not an artist to follow the beaten path. This album displays his innovation and lyrical skills that has broken down barriers and has taken Dancehall to places no other artist could. The new album D.O.B. represents the rebirth of Busy Signal. It contains 15 new tracks plus an iTunes exclusive track. To call this album Groundbreaking would be an understatement. The opening track How U Bad Suh is signature Busy Signal. His distinct and robust baritone voice accompanied by an up-tempo rhythm sets the right mood for the album. Busy Signal is not afraid to venture into music territories that others would not dare. He gives us a taste of Dancehall with a Spanish feel on Picante, then goes full throttle on Busy Latino which is a scorching Dancehall blend with Elvis Crespo’s Suavemente” Busy Signal proves that he is a master of his craft by incorporating his flavor into classic tunes and making them his own. His smooth track “Sweet Love” (Night Shift) that uses elements from The Commodores song “Nightshift” displays the Deejays Singjay capabilities. Not stopping there, he continues to prove why he holds the title of Dancehall’s most popular artist with his rub a dub hit of Phill Collins “One More Night.” Busy Signal joins Dancehall Icon and mentor Bounty Killer on the hard hitting and thought provoking track “Summn' A Guh Gwaan.” Busy Signal displays the gamut of his abilities from the rapid fire lyrics on “Nuh Fraid” to the inspiring “Peace Reign” track. He proves that without a backing instrumental he can hold your attention. Busy Signal and Major Lazer team up on the amazing iTunes Exclusive track “Pon Me” which is destined for greatness and to ring out in clubs around the globe. D.O.B. is not only the rebirth of Busy Signal it is a rebirth of a new sound and era for Dancehall music. It is the perfect presentation and representation of Dancehall without limits. 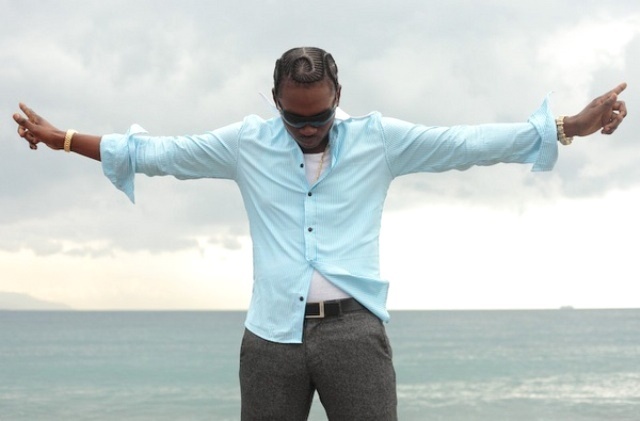 Born Reanno Gordon on January 24, 1982, he cultivated his artistry under the watch of dancehall icon Bounty Killer. With his outstanding mic techniques and restless creativity, Busy became a member of The Alliance-Bounty Killer’s musical powerhouse that spawned dancehall stars like Elephant Man, Mavado and Wayne Marshall. Busy began to receive widespread attention in 2005 with breakthrough hits like “Born and Grow” & “Step Out.” He continued to gain fans and recognition with the 2008 release of his album Loaded that included the hits “Jail”, “These Are The Days”, “Unknown Number” and “Wine Pon Di Edge” to name a few. D.O.B. is a pinnacle stage of Busy Signal’s career that’ll spread his gift far and wide, beyond the confines of his original audience. \n\n\n Busy Signal is at it again with the release of his VP produced album D.O.B. He is not an artist to follow the beaten path. This album displays his innovation and lyrical skills that has broken down barriers and has taken Dancehall to places no other artist could. \n\nThe new album D.O.B. represents the rebirth of Busy Signal. It contains 15 new tracks plus an iTunes exclusive track. To call this album Groundbreaking would be an understatement. The opening track How U Bad Suh is signature Busy Signal. \n\nHe gives us a taste of Dancehall with a Spanish feel on Picante, then goes full throttle on Busy Latino which is a scorching Dancehall blend with Elvis Crespo’s Suavemente” Busy Signal proves that he is a master of his craft by incorporating his flavor into classic tunes and making them his own. \n\nBorn Reanno Gordon on January 24, 1982, he cultivated his artistry under the watch of dancehall icon Bounty Killer.